This Alberta Trestle Table has a solid, hand planed table top that is quite unique. It is only available as a solid top due to this beautiful detail. 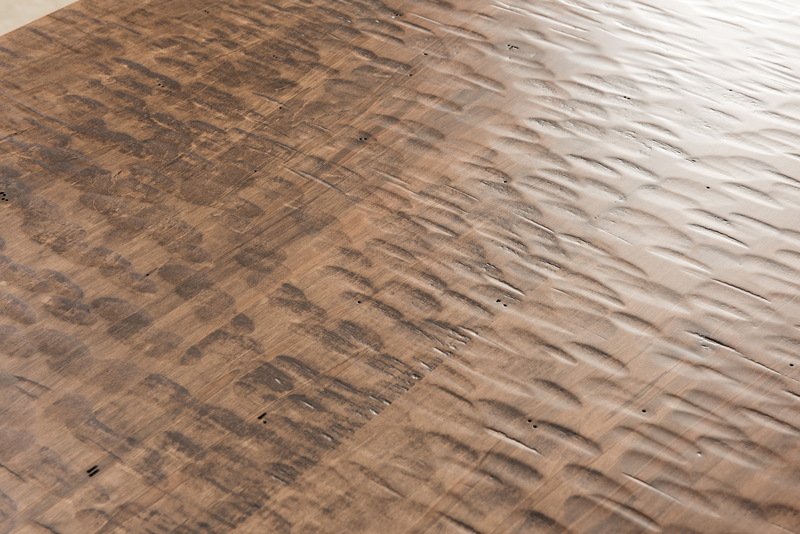 This wormy maple with almond color and low sheen gives this table a modern farmhouse feel. Choose chairs, benches or both to pull up around this dining table. You will find it is the perfect place to gather around for a meal and conversation. Rest assured with proper care and attention this table will be around for quite some time. Our Amish craftsmen take great pride in their work and build each trestle table to your particular customizations. They use only solid wood and pay close attention to all of the details. 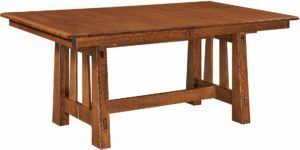 So don’t hesitate to contact Brandenberry Furniture with any questions you may have about this Alberta Trestle Table or any of our other solid wood furniture pieces. Click on the “Customize This Product” button below. 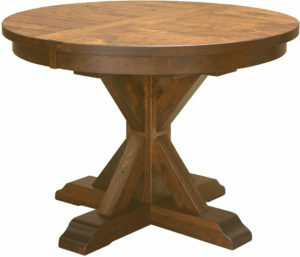 Then, choose from the wide selection of options available for the this Alberta Trestle Table. 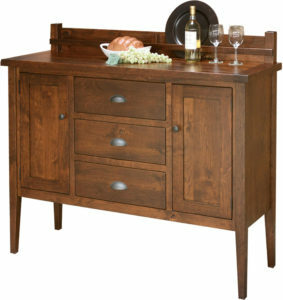 Additionally, you can call, e-mail or visit us at Brandenberry Furniture in Shipshewana, Indiana. We look forward to assisting you in any way we can and helping you make this Alberta Trestle Table part of your dining space.